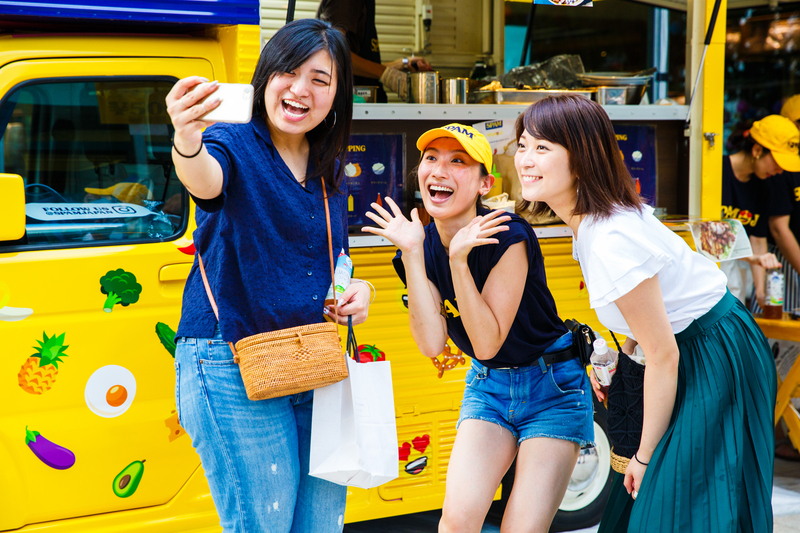 On August 3rd and 4th, we brought “SPAMOJI” – the world’s first ever emoji-powered food truck – to Tokyo foodie heaven Daikanyama, for an unforgettable two-day activation at T-Site’s Natsu Matsuri. Brand fans all around Japan already love the way that SPAM acts as a delicious addition to all types of cuisines and dishes, but we wanted to bring wider attention to its key benefits – convenience and versatility – in a way that would be unforgettable for any Insta-foodie that was present. 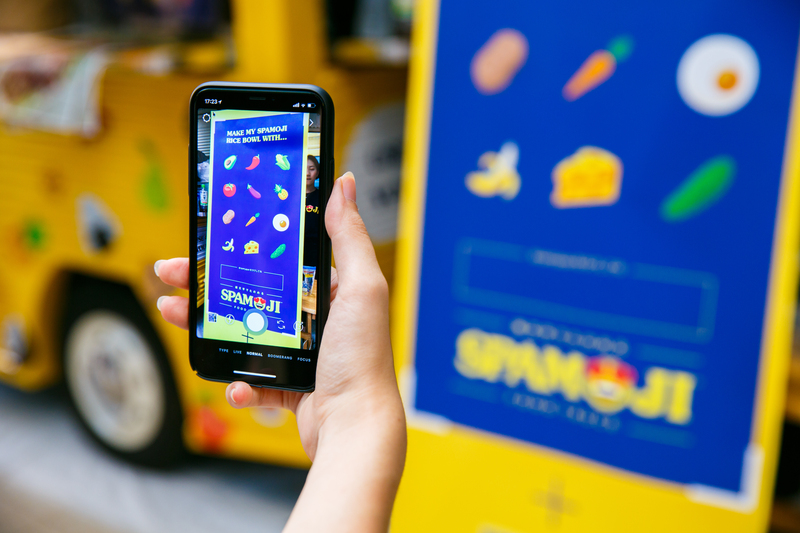 So we designed a bespoke, data-driven food truck activation where customers were able to order custom bowls of SPAM using their favorite platform – Instagram. 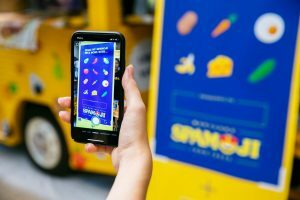 The ingredients they picked from a list of 12 emojis were then turned into a special SPAM-don right there and then. 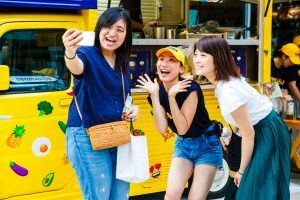 Customers were even notified by Instagram DM when their order was ready! 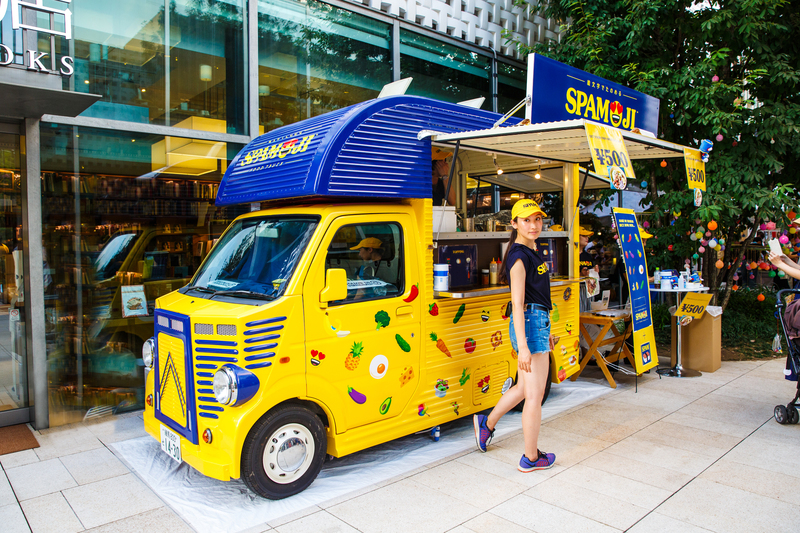 With its unique and eye-catching design – updating the classic SPAM brand palette for maximum Insta-bae potential – the food truck turned the heads of tens of thousands of people who passed through T-Site during the two days – and countless more as it drove through the streets of Tokyo, as well as being covered by major publications including Time Out.